i-glamour has an exceptional range of hairdressing and barbering haircutting razors and blades. 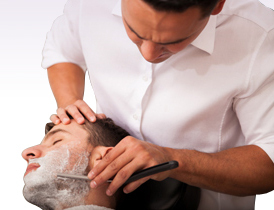 Razors and blades to suit all uses, from shaving and cleaning necklines to thinning and razor cutting hair. Select from shaping razors, two in one razors or matching blades. Top brands include Iceman, Dorko and Dateline Professional.